We can only imagine the impact in Jerusalem of the outpouring of the Holy Spirit on Pentecost. 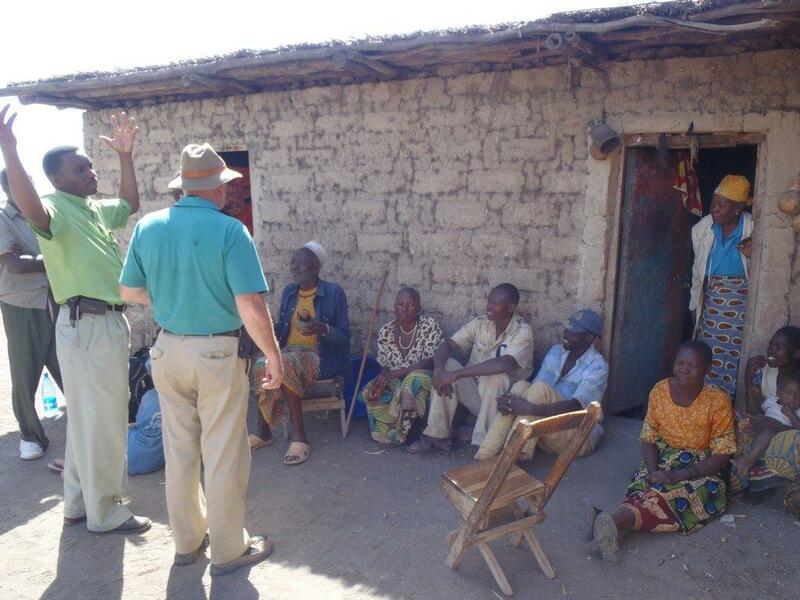 A team of people from the Mid-South District had a experience during the week of Pentecost of the Holy Spirit working through the Word to touch the lives of thousands in Tanzania . 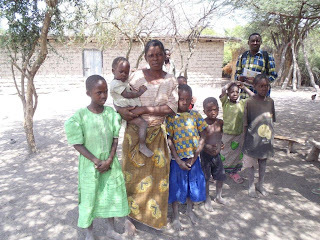 This year’s team went into a remote area Southeast of Mwanza that has been impacted by a serious drought reducing the harvest crops of corn, sunflower, millet and garden produce by over 85%. One man told me that he had planted a acre of Maize (corn) and did not even get a bowl of grain during the harvest. The lack of rain has dried up most water holes that has resulted in much of the day being spent searching for water sources miles and miles from home. The lack of water and food did not hinder the response to the Gospel. 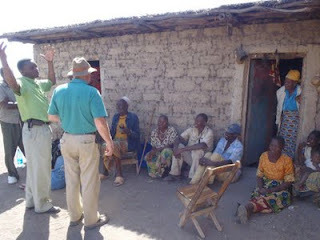 We went into 7 villages in the Negezi/Kishapu district to share a gospel message. In each village, 4 teams of two members of the Mid-South Team went with an area pastor and village elders walking house to house sharing the message by using the EvangeCube of our Savior Jesus Christ and baptizing in the Name of the Father Son and Holy Spirit. In some cases, the message was translated from English to Swahili and to Sukuma. After the morning and afternoon of evangelism each group would return to a designated location for a worship service and lunch with the people from the local village. Results: 1056 men, women and children were baptized. •	We started a fund called the Negezi/Kishapu Famine Relief fund and presented money that can be used to purchase food for those most impacted by the drought. •	21 evangelists were installed and commissioned for service in a church service after completing to two year training program to minister to the villages. On Safari, two Lutheran women from Germany was amazed to hear what had happened in the villages. One exclaimed to us that the time for evangelism is past! No, there are 1056 new lives in Christ that would dispute that comment.